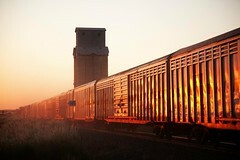 ARG Hauled Manildra Trains - Soon to be limited to memories and photographs? 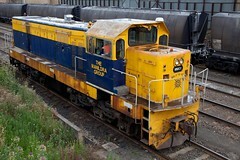 Australian Railroad Group (ARG), a division of QRNational (QRN) has been operating trains on behalf of The Manildra Group since 2003. Manildra supplied their own rolling stock in the form of MBAX (ex WAGR WBAX vans) louvre vans, MQRF container flats (although ARG/Manildra hired more container flats from CFCLA) as well as MHGH and MHGX hoppers, although ARG were contracted to haul the trains. 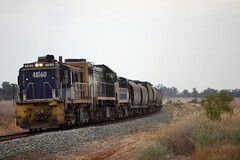 The contract itself involves the haulage of bulk flour to/from Manildra’s mills at Gunnedah (North-West NSW), Manildra (Central-Western NSW), Narrandera (South-West NSW) and Bomaderry (South Coast NSW), as well as export containers between the various mills and Port Botany. 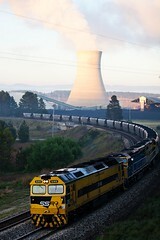 Recent news has emerged that ARG have lost the contract to Pacific National/Patricks Portlink owner Asciano Limited. Interestingly, it seems that the contract will be handled by the Patricks Portlink business division, rather than (as originally thought), Pacific National Rural and Bulk. 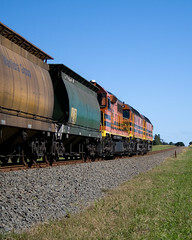 It is unknown at this stage if Rural and Bulk will provide motive power (currently, Patricks Portlink use a lot of hired motive power from CFCLA) and/or container wagons. 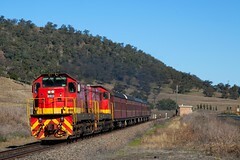 While the changeover doesn’t occur until November 23rd, enthusiasts should be getting out line side to capture images that will soon fade, possibly forever, of (ex-NSWGR 422 Class) 22 Class and (ex WAGR L Class) 31 Class hauling bulk flour to and from the various mills around the state. 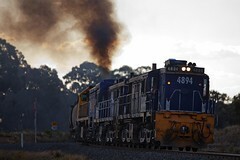 The good news is, if Patricks Portlink does indeed use motive power hired from CFCLA (as it currently does on its Narrabri and Dubbo/Blayney services, as well as some of its metropolitan workings), we could see vintage motive power in the form of 44, 422 (FL/HL Class), 442, 49 (KL Class) and even 45 Class at the head of bulk flour and/or container trains. 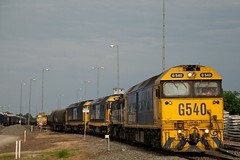 Recently, there have been quite a few examples of ARG using leased motive power to assist its own fleet. CFCLA T Class, SCT G Class, CFCLA KL (49) Class and even SSR/CFCLA GM10 have been seen on flour and container workings. Certainly this is an excellent excuse for any able railway photographer to get out in these last few months of ARG hauled Manildra trains! 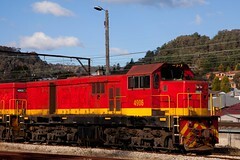 The photo above, of KL81 at the Nowra branch is an example of the dynamic motive power changes on ARG trains recently. 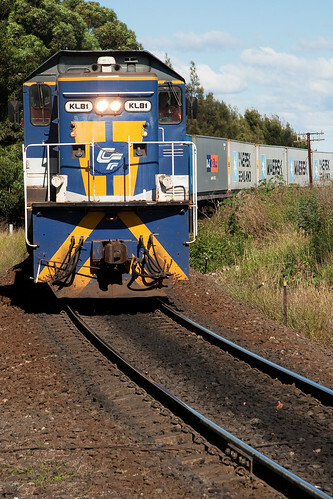 KL81 lead two T Class and GM10 into Sydney on 9182 export containers. 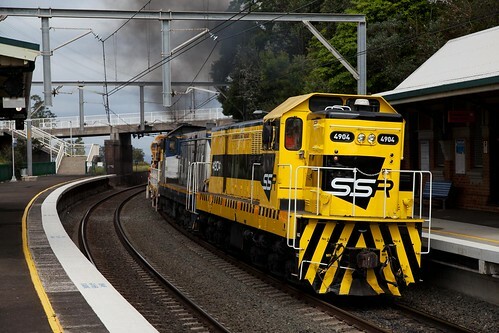 However, due to problems with Manildras container crane, this train was unable to finish loading and lost it’s path into Sydney, leaving Bomaderry at 2000, instead of at 1046.